Lesson time and place may vary according to sea tide and weather conditions. Your instructor will let you know the best time and place for your session. WC, shops, restaurants close to the meeting point. Pick up time is 10.00am. What to bring: clothes you usually wear on the beach, towel, flip-flops, sunblock. The transfer is free if your accommodation is in Maspalomas, Meloneras, San Agustin, or Paya del Ingles. Otherwise, a 5 euros fee applies per accommodation. It means if your group is all in the same hotel, you pay only 5 euros for everyone. 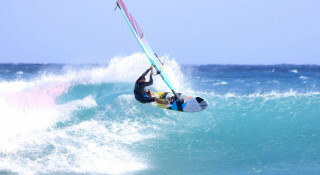 When it comes to windsurfing, Gran Canaria is often seen as a Shangrila, a sort of earthly paradise for enthusiasts of this sports. 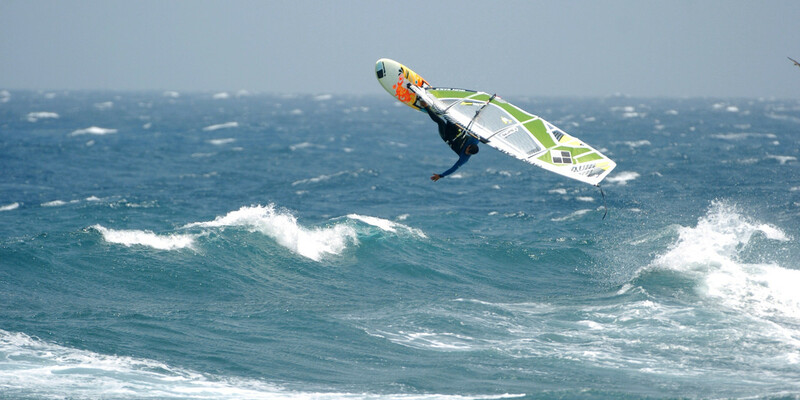 The island, commonly referred to as a “miniature continent” due to its broad mix of climates and landscapes, offers perfect conditions for windsurfers of all levels. 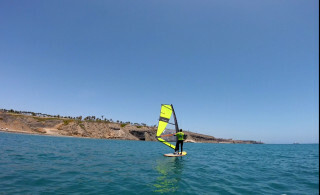 Our lessons take place in Baia Juan Grande, located in the East of Gran Canaria. 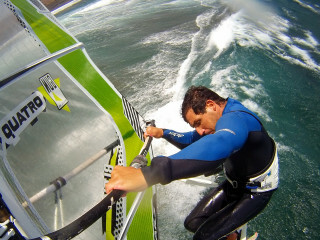 It’s flat water seaside with moderate winds make the site safe for everyone who wants to start in this beautiful sport. Your day begins with your instructors picking you up at about 10.00am from your accommodation. As we have everything prepared for you, the only things you have to bring are a towel and the clothes you usually wear on the beach. Of course, don't forget your sunblock either. Lessons start at about 10.30am. Juan Grande tends to be at its best in the mornings. First, your instructor gives you a short, but essential explanation about the sport, equipment, safety, and also explain important theoretical points regarding the activity. This part of your lesson takes no more than 15 minutes. 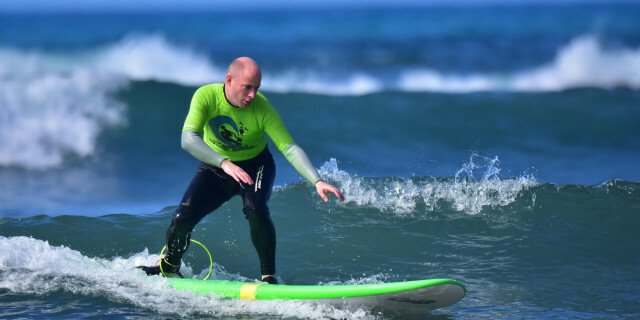 As our classes are focused on the experience of our students, most of the activity happens in the water. This way you can focus your time on what really matters to build your skills up. You learn about the equipment, how to assemble it, and, most of all, how to do it right from your first try. If you have any difficulty, your instructor is there to explain what you should do differently to improve your skills and be sailing beautifully throughout the sea. This means powering up your core stability and standing strong as you navigate, steer, and turn like a pro. 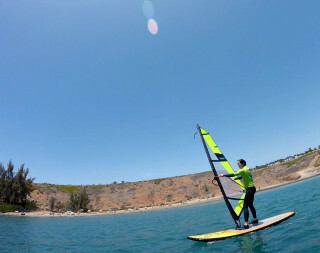 After your lesson, you might want to stay in the water, practicing for your next windsurfing session. But remember, you're on an island with much to explore. So, just take your time to enjoy the beautiful beach, delicious local cuisine, and interact with the friendly local people, always willing to give a friendly welcome to all tourists.